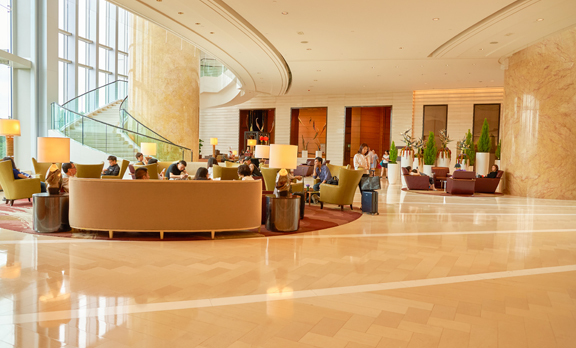 As one of the leading epoxy floor coating companies in Riverside, we have the experience necessary to deliver long-lasting and high-performance epoxy floor systems for residential and commercial settings. We take pride in delivering superior epoxy solutions with a dedication to thorough concrete floor preparation and the best epoxy products that are rated for even extreme environments. Learn more about our epoxy services in Riverside then give us a call to request a free estimate. Epoxy flooring is a versatile floor system that can be used in a wide range of residential, commercial, and industrial applications. The following are just some examples of uses for epoxy floor coatings in Riverside. Based in Riverside, California, we proudly serve the city and surrounding communities with reliable and cost-effective epoxy flooring installation. We offer a wide range of epoxy and concrete coating systems fit to your needs and budget. We strive to deliver the best possible customer experience with fair, upfront pricing, thorough prep work, and industrial-grade epoxy products formulated for harsh environments. Located in Riverside County in the Inland Empire metro area, Riverside was once the base for California’s large citrus industry. Today, the city boasts a thriving and diverse economy focused on light industry like medical devices, banking, health care, and education. 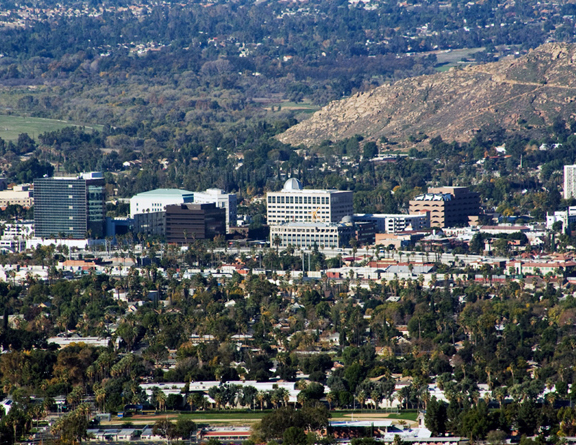 Riverside is known for its variety of museums and cultural attractions like the Southern California Medical Museum, the Riverside Metropolitan Museum, and the World Museum of Natural History as well as its festivals like the Riverside International Film Festival and Riverside Airshow that draw in tens of thousands of visitors every year. Epoxy flooring is a unique liquid-applied flooring system made from epoxy resin and hardeners that cure into an incredibly strong plastic material bonded with your concrete floor. Epoxy coatings in Riverside are used in a wide variety of settings thanks to their attractive design, long-lasting durability, and unbeatable strength. We install epoxy floor coatings in all types of applications with limitless design options like epoxy flake and metallic epoxy floors in Riverside to give you a beautiful floor with a low lifecycle cost. Your basement has a lot of potential but you may not see it yet. Without the right floor system, your basement is probably dark, musty, and prone to occasional moisture problems. It may be little more than a storage area. 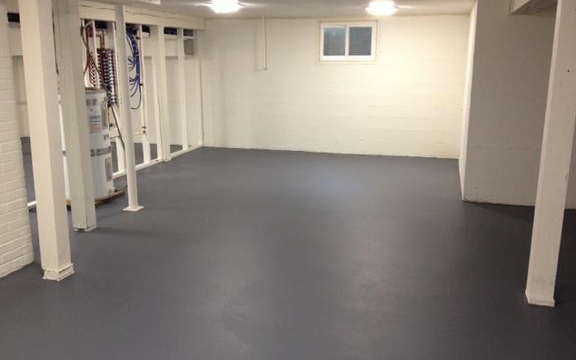 A basement epoxy coating in Riverside is a practical and affordable solution to give you a floor system you’ll be proud to show off. Basement concrete floor epoxy won’t be damaged by water and it will actually help stop moisture concerns by stopping moisture from seeping up through your concrete slab. It’s highly resistant to everything from spilled chemicals and pet accidents to abrasion and impact damage. You can enjoy your basement epoxy floor for up to 20 years with minimal maintenance aside from occasional sweeping and mopping. We also offer endless decorative solutions ranging from solid, high-gloss colors, custom patterns, and checkerboard to epoxy flake flooring and metallic epoxy floor coatings that create a stunning 3D effect. Have you ever considered the potential of your garage with the right floor system? Right now, your garage is probably dusty and dark. You probably don’t spend much time there or even feel comfortable storing your belongings in the space. With garage floor epoxy in Riverside, your garage can become a clean, bright, and functional space perfect for hobbies, working on your car, or storage. Our Riverside epoxy garage floor installers use premium 100% solids epoxy to create a long-lasting and decorative epoxy garage floor coating that withstands hot tire pick up, gas and oil spills, moisture, impact, and more. A garage epoxy coating can last up to 20 years and even boost the value of your home with an attractive floor system that finally gives you a garage you want to use. Epoxy flooring systems were originally designed for commercial and industrial settings. We use 100% solids epoxy products and careful floor prep to deliver extremely robust commercial epoxy rated for even the harshest environments. Commercial epoxy flooring in Riverside offers a seamless, nonporous surface that protects your concrete floors and increases the weight capacity and tensile strength of your floor. Its nonporous and seamless nature even makes it a good choice for areas in which hygiene is a concern. We install USDA-approved commercial kitchen flooring epoxy and medical-grade epoxy coatings. Our industrial epoxy flooring systems are highly resistant to everything from heavy vehicle traffic and heavy machinery to chemicals, water, extreme temperatures, abrasion, and impact. We also offer specialized formulations to fit the needs of your facility. 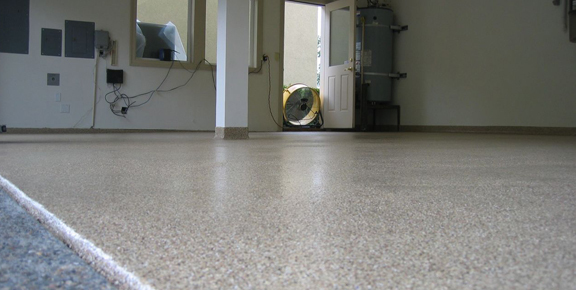 While epoxy floor coatings are the most well-known type of concrete coatings in Riverside, we also install other concrete coating systems for indoor and outdoor use. A clear coat for concrete floors can be used to protect the concrete and create a moisture barrier to stop moisture issues indoors. These concrete waterproofing coatings in Riverside are often used in basements and interior concrete floors. Decorative concrete coatings are a popular choice for updating the look and texture of concrete patios, pool decks, and walkways. Don’t give up on your aging concrete pool deck! 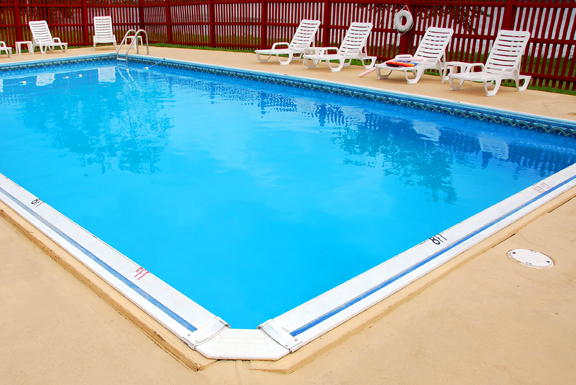 Our concrete resurfacing contractors in Riverside can make your pool deck look like new again. We offer several concrete resurfacing solutions to transform your poolscape with new color and texture. After necessary repairs are made to the concrete to correct cracks, spalling, or heaving, the most basic option is a concrete resurfacer that makes the concrete look like it did when it was new. We also offer decorative concrete resurfacing options. An acrylic pool deck coating can be used to cover minor cracks and update your pool deck with vibrant, long-lasting color and a new, safe texture. A Kool Deck coating is another decorative option with a range of color choices, a stampable design for customized texture, and unique properties that reduce the surface temperature of your pool deck in the hot sun. If you want a more dramatic solution, consider stamped, stained concrete which gives your concrete the realistic look and feel of a high-end material like travertine, slate, brick, pavers, or flagstone.